Prof. Kurt Deketelaere, Secretary-General of LERU (the League of European Research Universities) has reacted critically to the final text for the new EU Copyright Directive in an article of Research Europe. He said that the new rules were “worrying not only for us as universities but for individual and institutional users as a whole”. 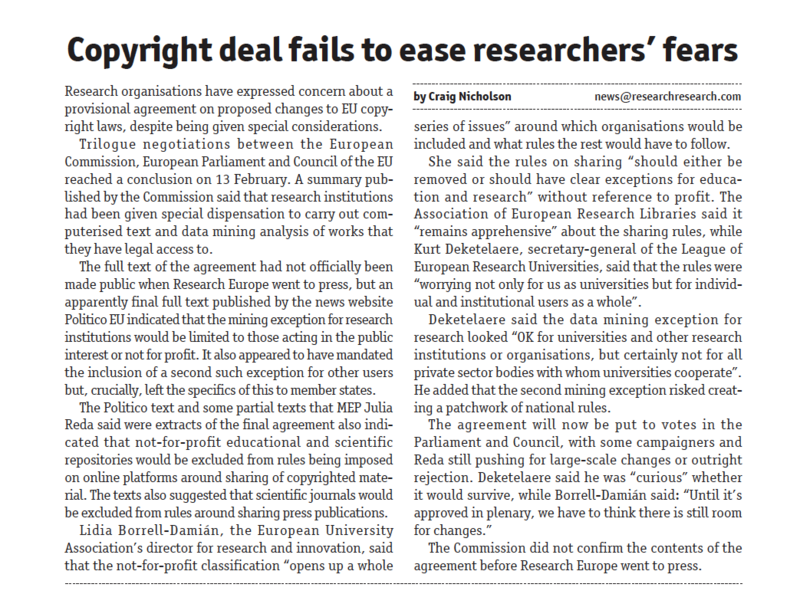 In his view, the data mining exception for research looked alright for universities and research institutions, but not for all private sector bodies with whom universities cooperate. He added that the second mining exception risked creating a patchwork of national rules. The agreement still needs to be formally approved by the European Parliament and by the Council. To read the full Research Europe article, click here.